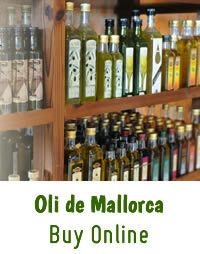 Fet a Sóller, specialists in delicacies from Mallorca. 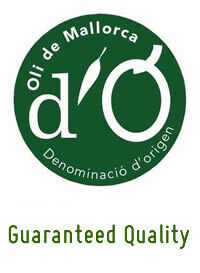 Institution for quality and Designation of Origin of olive oil from Mallorca Oli de Mallorca. Department of Agriculture, Environment and Territory Management, Fund for quality guarantees Agriculture and Fisheries of the Balearic Islands. Conselleria d'Agricultura, Medi Ambient i Territori, Fons de Garantia Agraria i Pesquera de les Illes Balears.